This is v. much my vision of how indoor farming on Mars would work: v. space and energy efficient. But on Mars of course we would be interested in growing crops like dwarf buckwheat as well as the salad crops. home to a pristine, climate-controlled room full of eerily perfect plants. They grow 22 hours a day, 365 days a year in 25-foot towers ,untouched by pests and bathed in an alien pink light. So what is the energy penalty for using the cooler LED lighting when we would need to heat the growing chamber and with a hieght of 25 feet that is a large volume. Where will we get the materials for the chamber? Critical to this $2.5m techno-Eden, run by a firm called Green Sense Farms, are the thousands of blue and red light-emitting diodes (LEDs) supplied by Philips, a Dutch technology firm. The light they give off is of precisely the wavelength craved by the crops grown here, which include lettuce, kale, basil and chives. High efficiency means less heat, which makes air conditioning cheaper. Being cooler, the lights can be placed closer to the plants, so the crops can be planted more densely for fresh, locally grown produce, all year round. Hydroponic, naturally lit greenhouses, such as those built by BrightFarms, a firm based in New York, are already supplying produce to cities such as Chicago and New York. 26 harvests per year, short duraton crops? 46 pounds of free O2 per day, very nice. This does leave me with more questions... so went googling..
Be careful with vertical farming. It stops being "free" when you have to add artificial light. Capturing tons of CO2 is more than negated by a coal burning power plant that generates power for this greenhouse. So this type of farming is only economical with ambient light. You could use light pipes, or the more high-tech version: fibre optic cables. Those cables are just a flexible form of light pipe. It still requires as much light collection area as plant trays. If you can, just use glass greenhouse on building roof. Aerogel will diffuse light, but light does get through. Plants just want lots of light on their leaves, it doesn't matter if it's diffuse. Aerogel provides much more insulation that glass panes because there are more transitions between solid and air. So aerogel would provide more thermal insulation in winter. Aerogel for greenhouse roof and walls? You could put vertical farms on tropical islands in the pacific. It clearly has an energy cost, but it is much less costly in terms of fertiliser, pesticides, and losses to erratic weather. I agree aerogel would be used to insulate indoor farm habs on Mars. But in terms of growing a self-sufficient economy on Mars, the colonists could make rockwool from basalt as insulation and simple reflectors could help maintain temperatures during the day or through heated water pools beneath the habs. A candidate for a Mars staple food perhaps? Actually, no. The equipment to make aerogel is quite involved. A science mission to Mars will bring an inflatable greenhouse, not anything solid like aerogel. And it will be a while before anyone on Mars will be able to make it. Expect the first greenhouse made with in-situ resources will be simple glass. I said aerogel for a greenhouse on Earth. The website linked talks about growing food year-round. That means winter. I live in Winnipeg, Canada. We actually have winter. Your profile says you live in UK. Not sure which part, but weather statistics for London show average daily low for December, January, and February as 1°C, 0°C and 1°C. The same statistic for my city is -17.8, -19.6, and -11.6°C. In fact the average daily high for my city for January is -11°C. That's average, we can get a cold snap when it doesn't get above -20°C for a week. This year there were 90 days below -20°C, the most in 121 years. And that's the daytime high. This March one night it got down to -37°C. The coldest was -45°C one night in February 1966. And these are real temperatures, not wind chill. Most older houses have double pane windows. Newer houses have sealed casement windows with plastic film stretched between the two glass panes, effectively creating a third pane. Some have 3 sheets of plastic, creating a total of 5 panes. It's to reduce heating cost. A greenhouse will have entire roof and walls of window. They'll need good thermal insulation. That's why I recommend aerogel for roof-top greenhouses on Earth. I said aerogel for a greenhouse on Earth. The website linked talks about growing food year-round. That means winter. I'm live in Winnipeg, Canada. We actually have winter. Your profile says you live in UK. Not sure which part, but weather statistics for London show average daily low for December, January, and February as 1°C, 0°C and 1°C. The same statistic for my city is -17.8, -19.6, and -11.6°C. In fact the average daily high for my city for January is -11°C. That's average, we can get a cold snap when it doesn't get above -20°C for a week. This year there were 90 days below -20°C, the most in 121 years. And that's the daytime high. This March one night it got down to -37°C. The coldest was -45°C one night in February 1966. And these are real temperatures, not wind chill. I was talking about basalt fibres (rockwool) rather than aerogel. Basalt has many uses and could be a key material on Mars for the early colonists. The GreenSafeis available in various sizes and is made of very thick, durable, elastic, light transmissive and UV resistant PVC special foil. The bottom of the ground element is made of very sturdy rubber-coated nylon fabric and therefore provides the best protection for your plants. The difference between Mars and Earth is that Mars has a laboratory vacuum for an atmosphere. The reason Earth greenhouses need insulation is because Earth's thick atmosphere absorbs heat from the greenhouse, the warmer air rises and is replaced with cooler air that absorbs more heat. On Mars the thin atmosphere can't do that very well. The heat radiates outward but the atmosphere doesn't convect the heat away like it does on Earth. Most of the insulation required for a Mars suit is the padding on the soles of an astronaut's boots and the surface of gloves that will be handling various rocks and samples. What you don't want to do is get buried in an Martian avalanche, because if you don't get crushed, you will quickly freeze as the ground absorbs your body heat! Interesting observation. I am not disputing this with you, but would be interested if you could give a citation. I suppose your argument would be that as long as you heat your Mars greenhouse, you don't have to worry too much about insulation. Which I take to be good news! Others have pointed this out. That heat loss is slow due to Mars thin atmosphere. I talked about a double wall inflatable greenhouse, with pressure between the walls that is lower than the greenhouse interior, but higher than Mars ambient. That allows pressure alone to hold its shape. And Bruce MacKenzie pointed out you can monitor pressure of that gap to detect leaks. If pressure falls, the outer envelope has a puncture. If pressure rises, the inner one does. An old "Case for Mars" paper talked about an aluminized Mylar curtain drawn over the ceiling at night to reflect radiant heat back in. I suggested the same coating that NASA uses for spacecraft/station windows. That coating is vacuum deposited thin layers of gold, nickel, and silver oxide. Only silver is oxidized. The combination of metals reflect UV and IR, but let over 80% of visible light through. This has been commercialized, but window manufacturers only use silver oxide because they only care about IR. Earth's ozone layer takes care of UV. NASA calls it "spectrally selective", commercial companies use brand names "Heat Mirror" or "Low-e". And this coating can be "tuned" to reflect more long wave IR from warm things like the floor or furniture, and less short wave IR from very hot things like the Sun. That difference causes net heating. Of course window manufacturers use this for Canada or northern states, and reverse the short/long bias for net cooling for sale to southern states. At one point I suggested both the coating and curtain, but some Mars Society members question whether we need the curtain if we have the "spectrally selective" coating. I also talked about bubble wrap to insulate the floor. With a rigid plastic walking surface on top of the bubble wrap, to ensure bubbles don't burst. 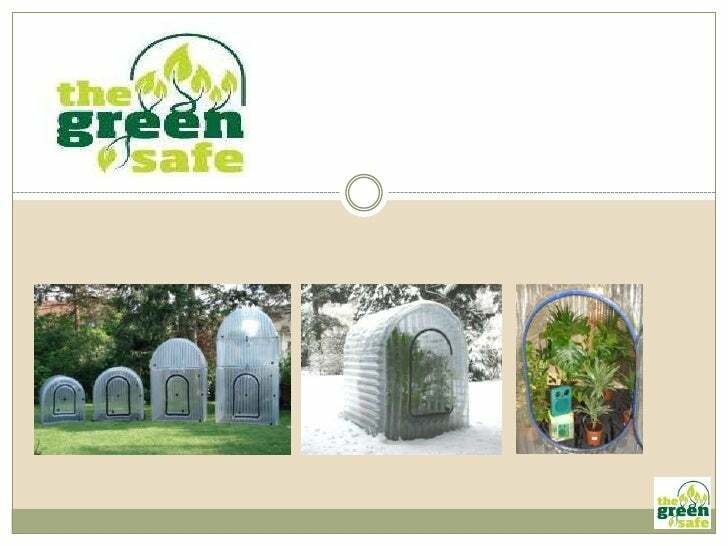 Fill the gap of the greenhouse with argon gas, and fill the bubble wrap with argon as well. That conducts less heat than air. Some commercial window companies fill sealed casement windows with argon. But one engineer, Janyce Wynter, questioned whether a double layer greenhouse envelope was necessary. She pointed out majority of heat loss would be to the ground. So I asked to see the numbers. She couldn't provide me with that. I still haven't found anyone who knows how to calculate heat transfer. I want to see the numbers. I tend to agree with Tom on this one. Glass and most polymers are good absorbers in the IR region and thus are likely to absorb almost all of the IR light incident upon them. This creates a powerful greenhouse effect (No surprise, eh?). While the glass can re-radiate, the glass needed to maintain pressures within is likely to be quite thick and therefore well-insulating. No more guessing. This chart gives you numbers. As you can see, glass blocks UV-B and UV-C, but performance vs UV-A tapers from 88% to 90% at the boundary with blue visible light, down to less than 2.5% at 0.3 micrometres (300 nanometres). Most importantly, transmitance of uncoated glass to IR is rather high: 75%-85% throughout the spectrum. Ps: The spectrally selective coating that I want for a greenhouse on Mars is #5. How do you explain the increase in temperature in a car or, again, a greenhouse with closed windows other than infrared absorption by window glass? IR pass through glass. It's absorbed by something dark inside. That warm thing emits some IR, but unless it's red-hot, most heat will be transfered through conduction/convection rather than radiation (radiant). Besides, cars have two types of glass: dark, and "soft ray". Neither is simple glass. In fact, windshields are "safety glass", which is two layers of glass with a plastic film of polyvinyl butyral between. If a windshield shatters, the glass fragments will be stuck to the plastic film. Be careful with vertical farming. It stops being "free" when you have to add artificial light. 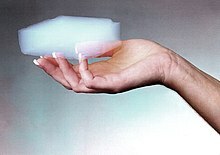 Aerogel will diffuse light, but light does get through. Plants just want lots of light on their leaves, it doesn't matter if it's diffuse. Aerogel provides much more insulation that glass panes because there are more transitions between solid and air. So aerogel would provide more thermal insulation in winter. So is this insitu creator or imported as we would need to know the mass breakout for either option to use Aerogel as a greenhouse materials to build with. So is this a plastic of sorts to create the chambered shell and what is its mass breakout for a sizeable space to grow food area. For anything imported from Earth, I recommend PCTFE. Used to be sold by 3M under the brand name Kel-F, but they stopped making it in 1995. Now made by Honeywell as Clarus for aerospace or military, or Aclar for the pharmaceutical industry. As a second source, a Japanese company makes it with the brand name Neoflon. Military uses it for a water-tight seal for displays in tanks or tablets. Pharmaceutical industry uses it for blister packs of pills. I would use 2 mil thick, with fibreglass gauze heat pressed into it, and spectrally selective coating for IR and UV control. But that's for anything transported from Earth. Such as a Mars Direct style science mission. For a permanent settlement that builds with in-situ materials, it's easier to make normal glass. You still want the spectrally selective coating, but glass. I have always been fascinated by the idea of crowing crops using artificial light. But the economics are always weak unless electric power is cheap. The problem comes down to the poor efficiency of converting electrical energy to glucose. In sunlight, crop plants are typically 1-2% efficient, but this can be roughly doubled if light wavelengths can be tuned to red and blue parts of the spectrum. LEDs can be 35% efficient in the red and blue parts of the spectrum. To produce 2500 calories per day of food (2.5MJ) some 240MJ of electric power are needed (66kWh). The economics depend critically on the cost of electric power. If your farm is supplied by a big nuclear power plant, producing power for $0.05/kWh, then your food electricity bill is $1200/year. If your power comes from PV panels at $0.25+ per kWh, its upwards of $5000/year. The implications are staggering. For all of human history up to now, the places that people tended to live in large numbers were dictated by where they could grow food. If that ceases to be the case and food can be grown in small spaces under artificial light, then Pluto is almost as easy a place to live as New York, especially if you aren't interested in big open air spaces. I did a few heat transfer calculations to help answer this question. L is characteristic length, which is equal to 4 times cross-sectional area, divided by perimeter or 0.15m in this case. Reynolds is therefore 0.02x4.5x0.15/0.00001 = 1350. For CO2 under these conditions, k is 0.01W/m.K and Cp at 220K is 1960J/KgK. So Prandtl is 1.96. On this basis, Nusselt can be calculated to be 20.8. The heat transfer coefficient, h= Nu.k/L. Which works out to be 1.4W/m2K. Q=hA(T1-T2) = 1.4 x 1 x 86 = 120watts. By contrast, radiation would lose 400watts of heat from the same body under the same conditions. So on the Martian surface, heat loss will be dominated by radiation and conduction. As a rough rule of thumb ‘the convection heat losses in the Martian atmosphere for any structure at room temperature, will be about 30% of the black body radiation heat loss rate’. In a dust storm, with air velocity of 20m/s, the convective heat transfer coefficient increases roughly 2.5 times and thus reaches 75% of the black body radiation heat loss. I thought maybe radiation would dominate over convection in air that thin. Thanks to Antius for running the numbers. Conduction is the other "biggie", of course. Unlike here, convective heat loss is the least of your worries. Hi Antius - are you able to help me out on this...if we had a say a cube hab measuring 4x4x4 metres with standard areogel insulation, and we had say three people inside on average per sol eating an average diet and maybe various bit of machinery using 240KwH per sol, pumping out waste heat , how much energy would we need to put in per sol to maintain the interior air temperature at say 20 degrees celsius (assuming ordinary earth atmosphere pressure) i.e. how much energy would we have to put in to counter heat loss? Or indeed might it be a case we had to cool down the interior - constantly or at certain times (e.g. during the day in high summer on Mars). I'm afraid it's beyond me to work that out from your figures...but this seems to be the nub of the issue for me (as a proponent of enclosed farm habs). Hello Louis, I will look into this. Might take a bit of time, as I'll need to set up a spreadsheet. Thanks Antius, if you can spare the time to do the calculations that would be most useful.